Join us, as we come together for an amazing cause. I have gathered an elite group of talented Hairstylists from the tri-state area in one salon doing what we do best! 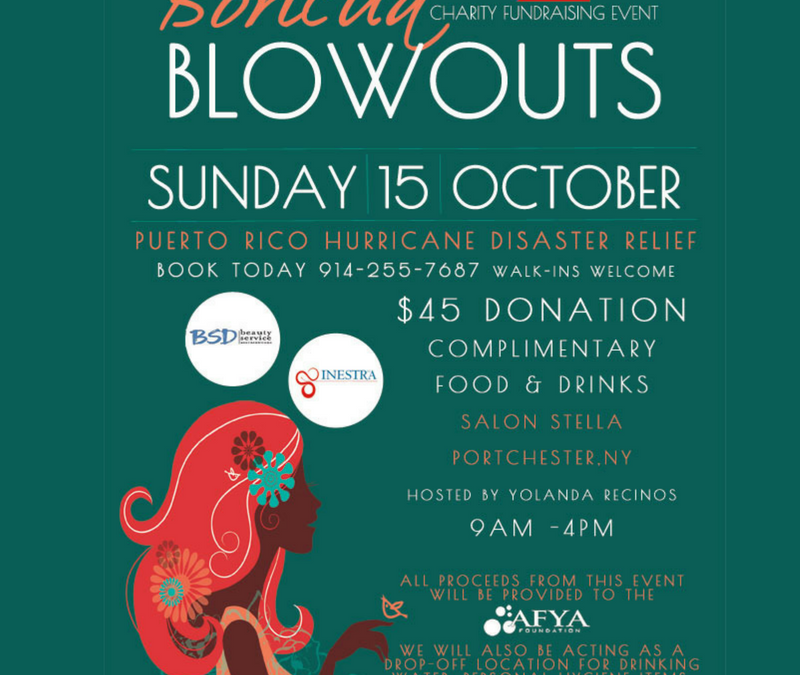 The team and I will be donating our time on Sunday the 15th of October to do Blow Drys for $45 from 9am – 4pm. The event will take place at Salon Stella located at 523 Boston Post Rd, Portchester, NY. ( Whole Foods Shopping Plaza.) All proceeds will be donated to afyafoundation.org. They are currently bringing supplies to Puerto Rico. We will also be collecting supplies and donations. Thank you!